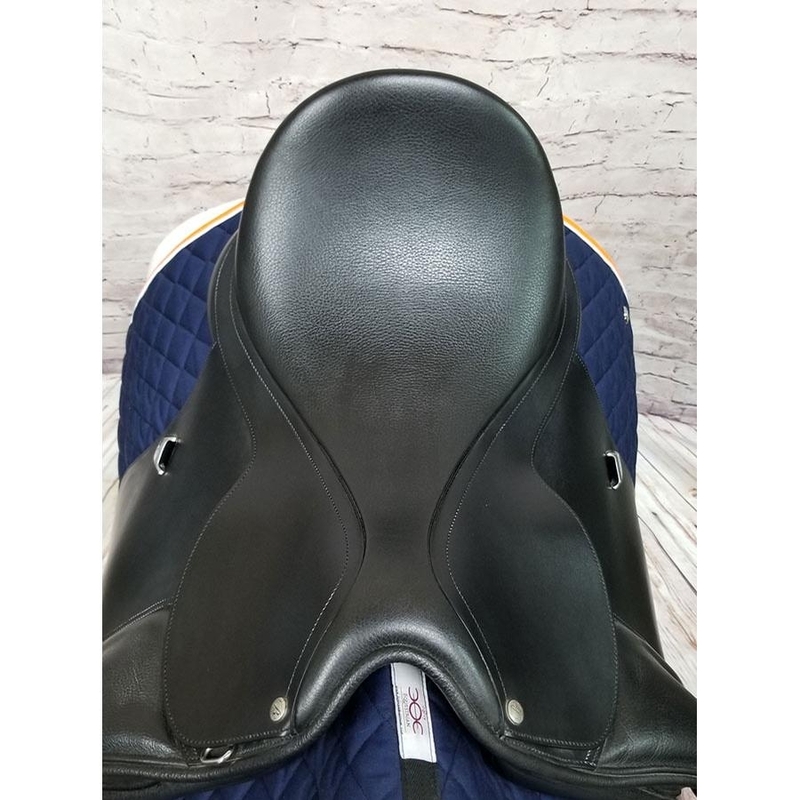 17 IN Bates dressage saddle in pristine condition. 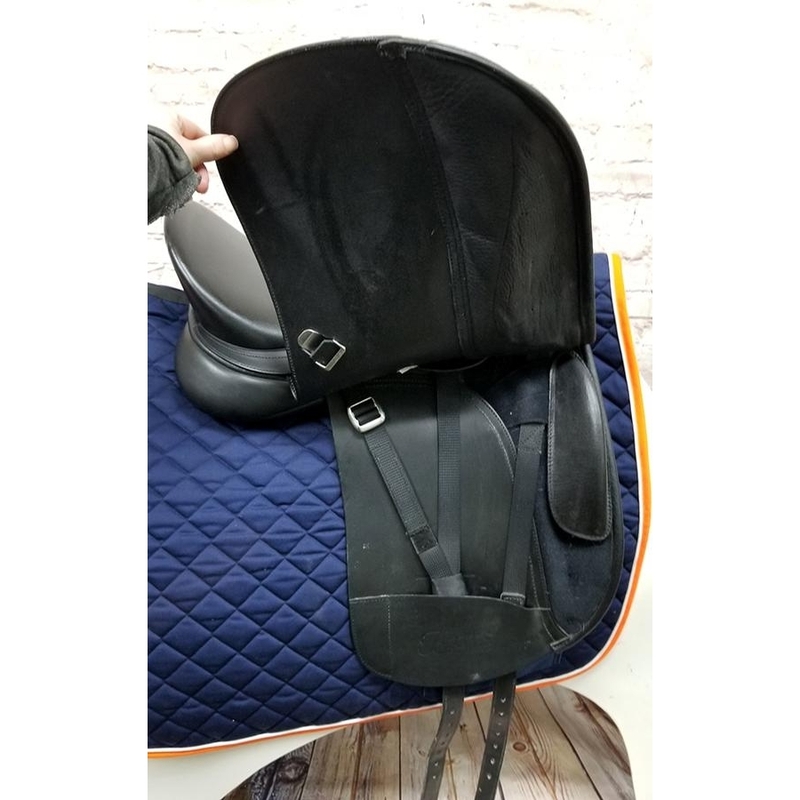 This saddle features regular length flaps with velcro adjustable knee blocks for support. 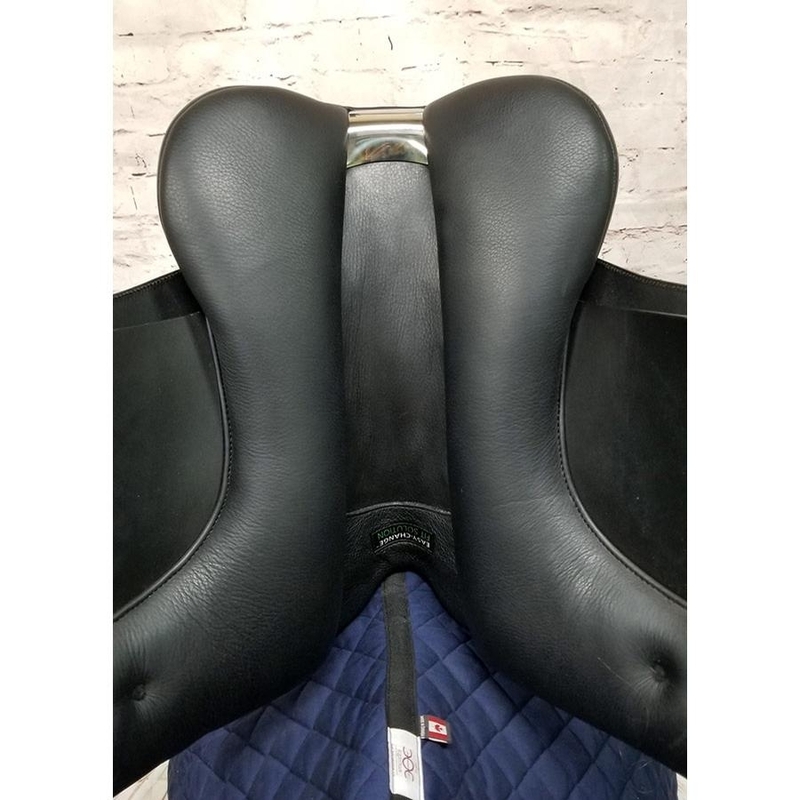 The seat is deep with a narrow twist for a close contact feel. 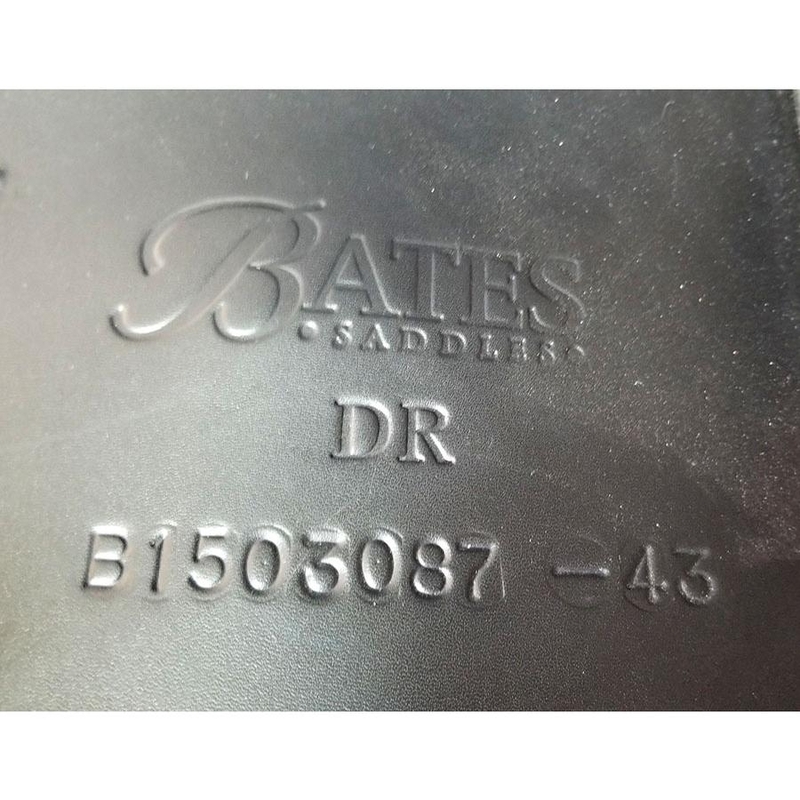 The tree is currently set to medium but can be adjusted using the Bates "Easy Change Fit System". 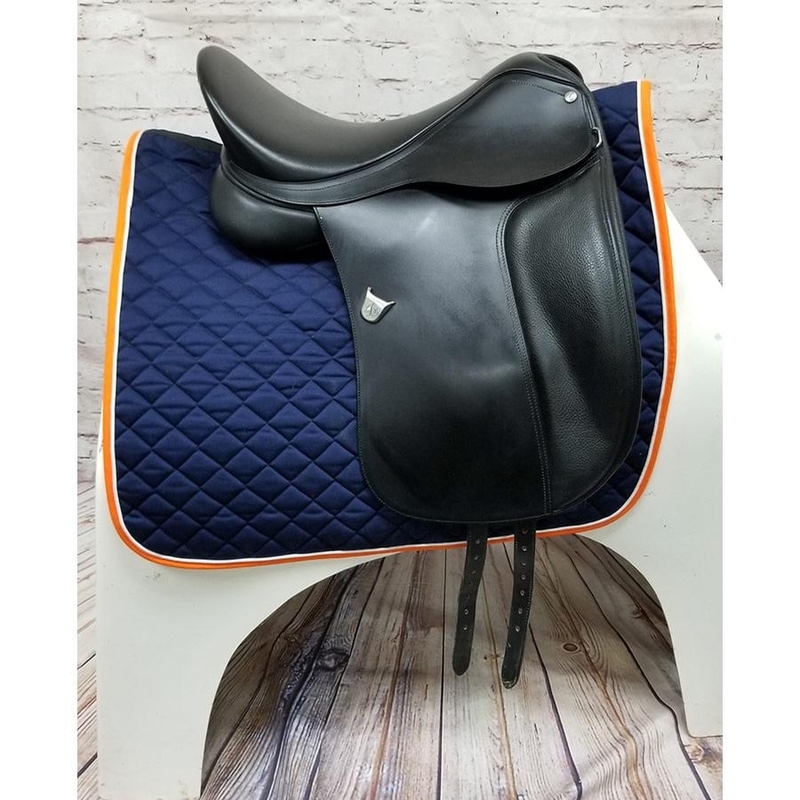 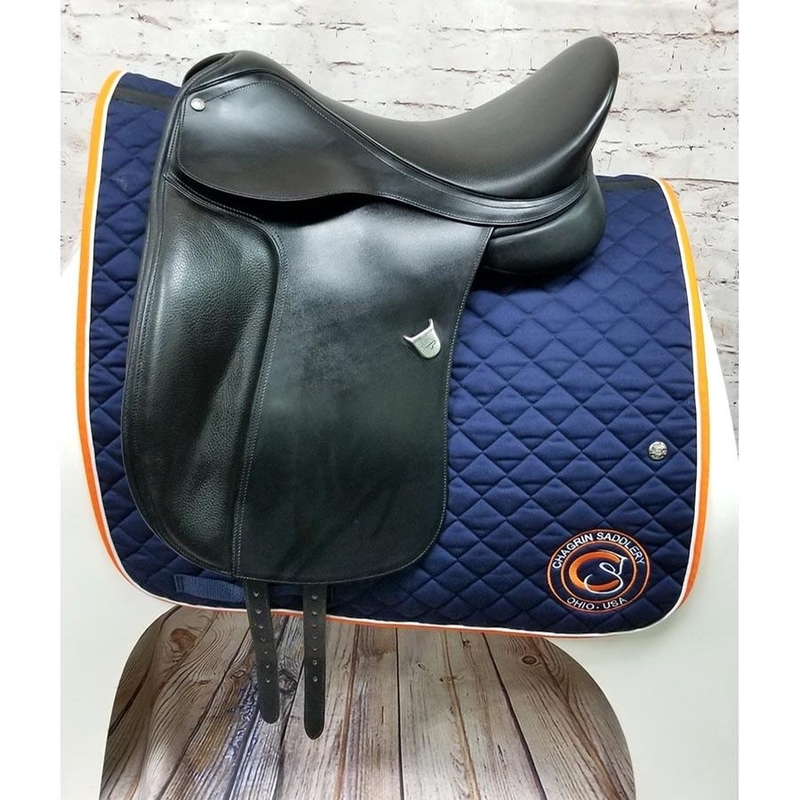 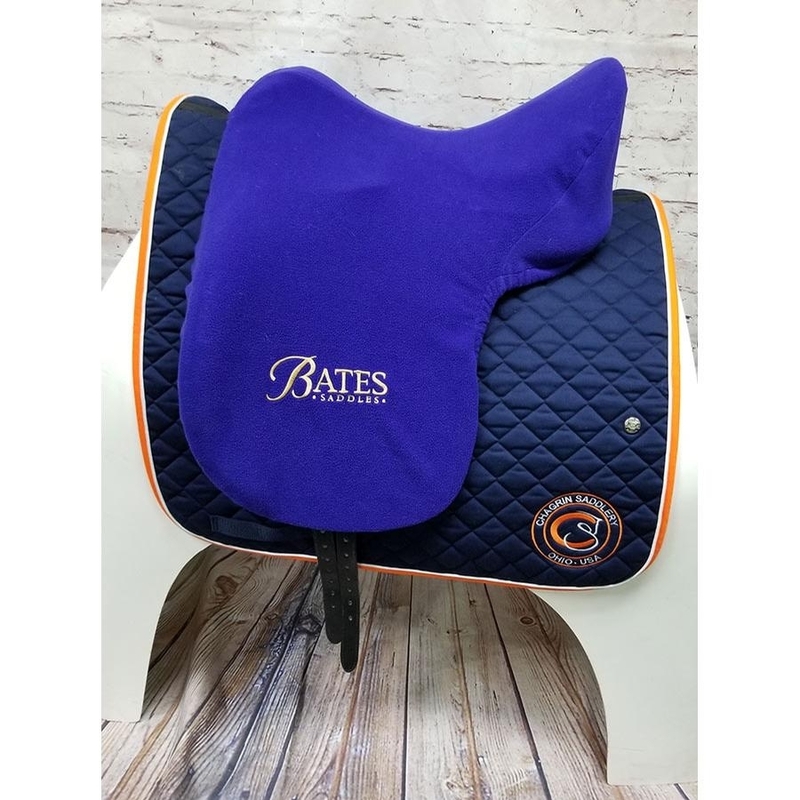 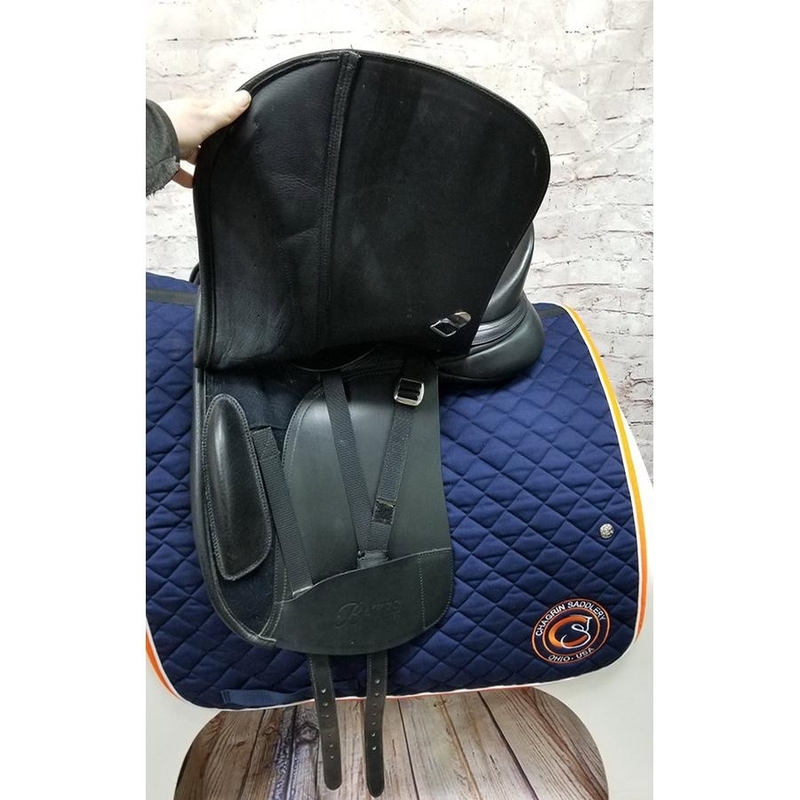 This saddle includes a matching Bates fleece saddle cover.